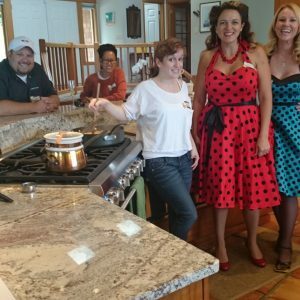 Pals; just wanted to share some more pictures with you from my cannabis cooking classes. We have so much fun and I feel so privileged to be able to help a little. If you or any of your people have pain, anxiety, or pretty much any of the weirdness that we attract being human, cannabis can probably help. Onward citizens!! down. Let them cook for at least 5 minutes, making sure the cut sides get charred. Combine all ingredients and store in a cool dry place – great for in the car or to keep at your desk!! will be very happy, and even happier if you enjoy these with some port! people will think you’re a dessert genius! !